Get your gang together and get ready for the big challenge! 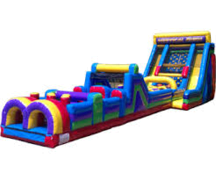 Obstacle Courses, also known as "Challenge Courses", can bring your guests together in a way only they are capabable of. 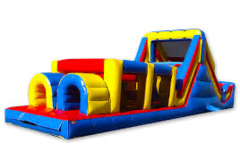 Perfect for school events, church fundraisers, and corporate team building, Jumpin Jacks obstacle course rentals bring the awesome to your event. Build team spirit in a fun and competive environment, safe for all ages. Browse the selections below and click on the title or image for more information and to make a reservation. Safety! Your child’s safety is a priority to us. 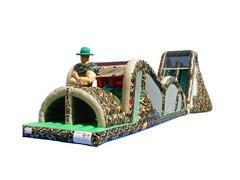 Our obstacle courses are safe, commercial grade, and will entertain your guests for hours. We offer many options for any age at your event. Professional full-service experience. Let us help you plan your event. Excellent Customer Service, are staff is professional and enjoy the party planning industry. Delivery and set up at least 30 minutes before your event.